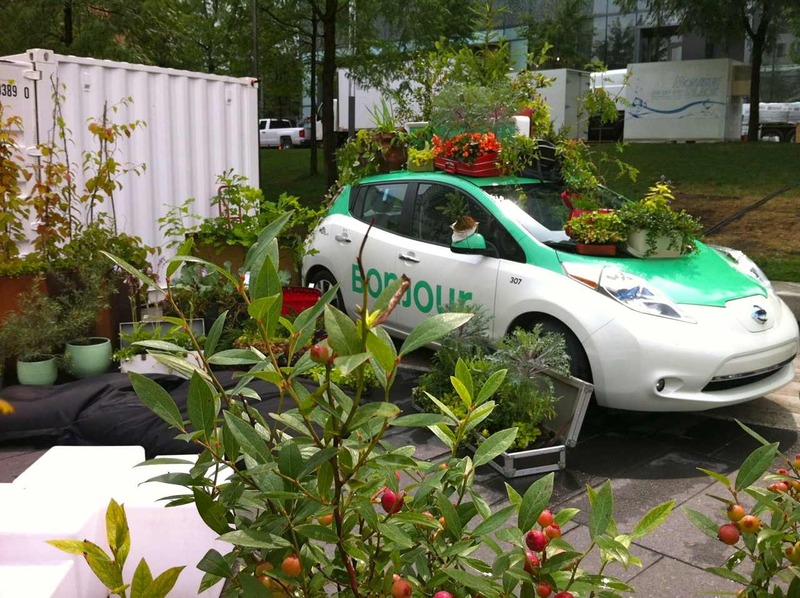 This garden features a Téo Taxi car on which edible plants are grown in reclaimed containers, such as old suitcases, briefcases, bags, which could have been forgotten by people using this public transport mode. 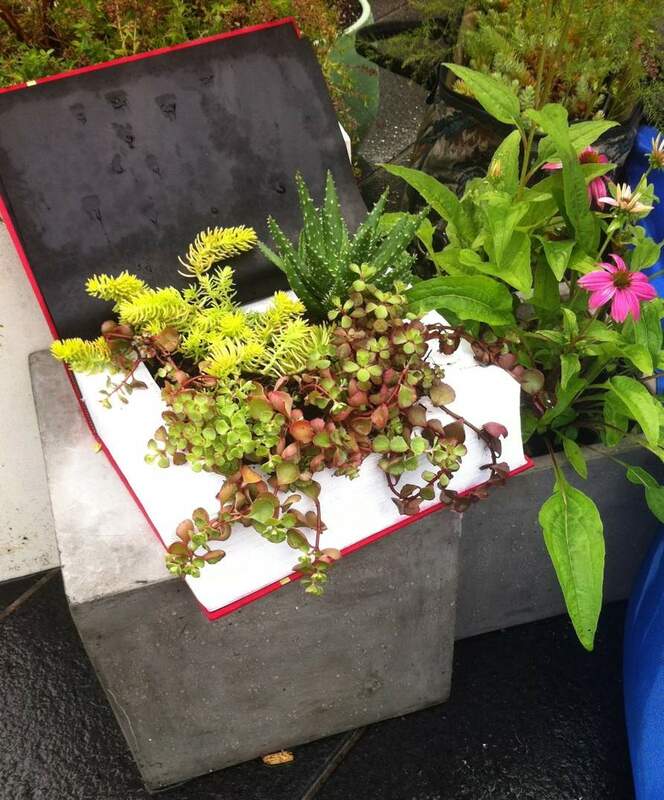 These various objects planted with edibles give the Téo Garden an atmosphere linked to travel, bringing to daydream and imagination... 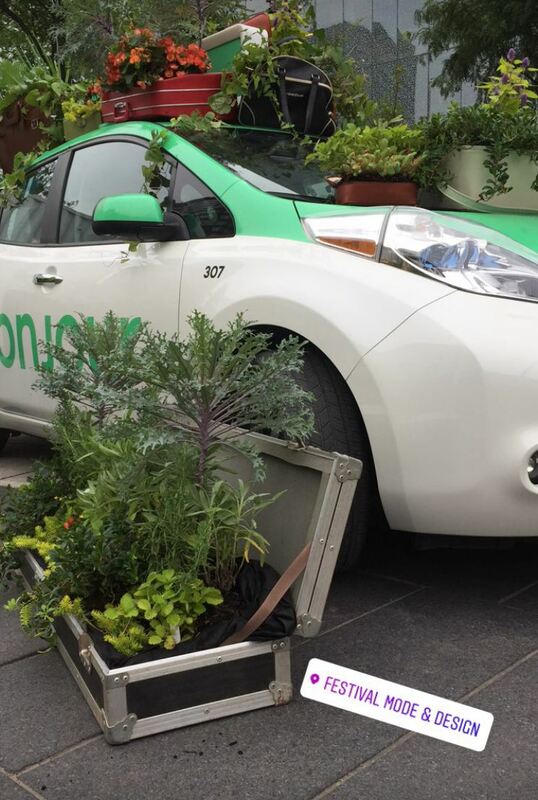 This association between urban agriculture and Teo, with its electric taxi car, is certainly inspiring and energizing! 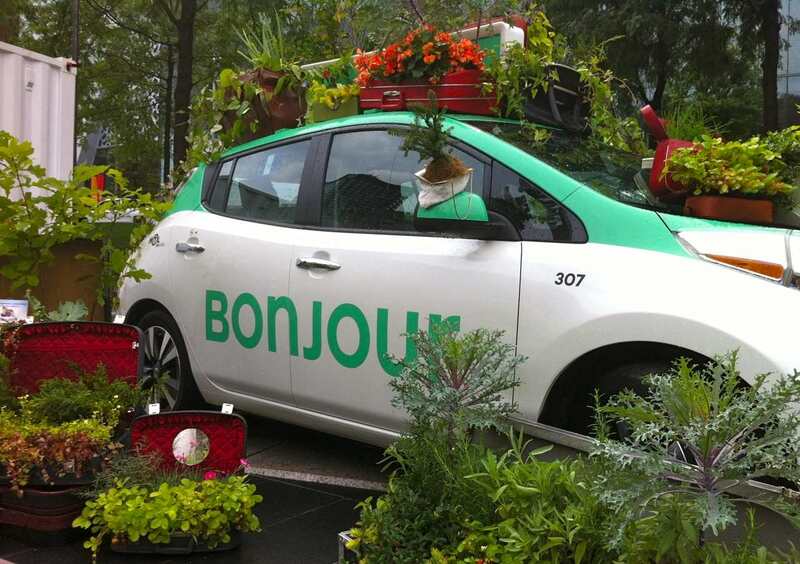 The Téo Garden is presented as part of the Mode & Design Festival which takes place this summer in the Quartier des spectacles of Montreal. Come visit and re energize yourself in the Téo Garden from August 23rd to 26th 2017, from 12:00 to 23:00. 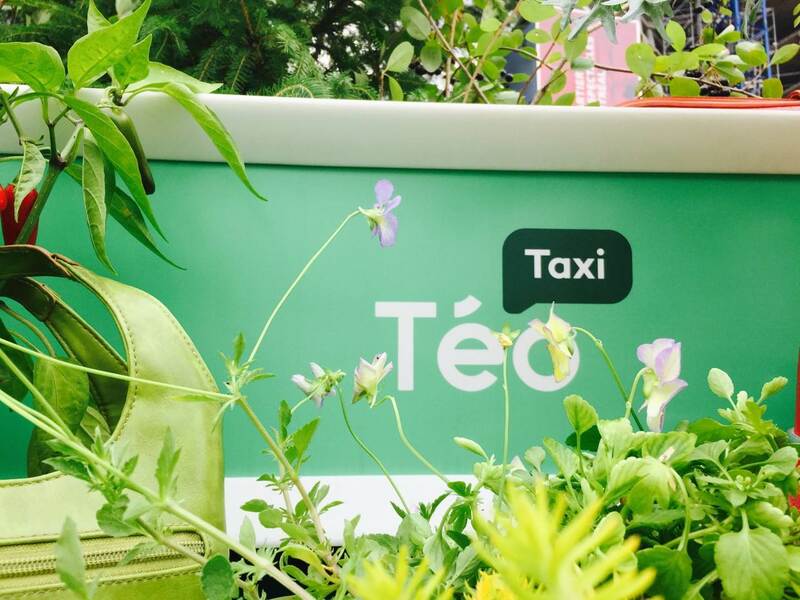 The Téo Garden could not have been created without the precious support of the following partners: Téo Taxi, Pro-Mix, Paysage Gourmand, Vertuose, Karibu, Soverdi and Projet Acier Montréal. Many thanx to these people for their commitment and amazing work: Diane, Kim, Myriam, Natasha, Benoît, Guillaume, Jean and Irvin.